Like all the world’s great cuisines, Thai food is a conglomerate of several distinct regional traditions. But one thing they all have in common is a passion for fresh ingredients and the subtle blending of spices and aromatics. This indigenous heritage is enriched by Thailand’s tropical neighbours – each bringing its own addition to the rich, spicy mix. So you get lots of Malaysian-style coconut milk and turmeric dishes in the south, with the Lao-reminiscent lime flavours of the north-east. Predominant is the influence of China – especially in the use of the wok with its deep and shallow frying dishes based on rice and noodles. Curries are fragrant and sumptuous, and can be made anywhere from mild to red-hot, depending on how much spice you prefer. 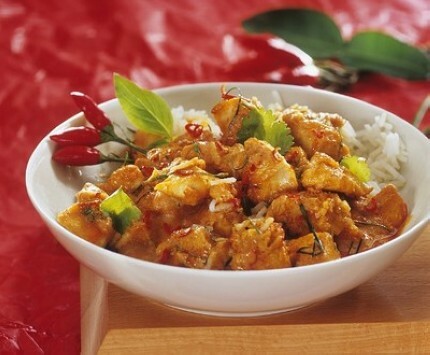 They are healthy and hearty curry dishes that will awaken your senses.